Villa Gordana is located in the most exclusive part of Dubrovnik (St. James), among a series of villas located in the historic gardens in the proximity of Dubrovnik's most luxurious hotels. It is situated on the waterfront, just behind a park, only 15 minutes walk from the historic walls of the old town of Dubrovnik. 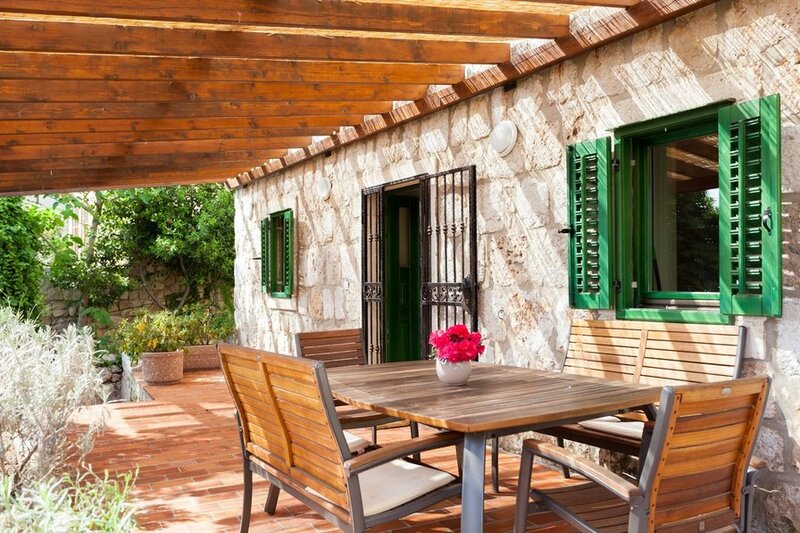 This renovated traditional stone house provides privacy and offers an unforgettable experience of Dubrovnik. Villa Gordana has a beautiful view of the sea and the island of Lokrum. The distance to the nearest rocky beach overlooking the historic old city walls is less than 50 meters, while the main public pebble beach is some 600 meters away. On the ground floor there is a kitchen / dining room / sitting room area. The internal stairway leads to the first floor with a double bedroom, a single bedroom and a bathroom. The upper floor comprises a double bedroom, a single bedroom and a bathroom.